Lemons are not just a great accompaniment to a nice piece of fish, a salad dressing or my fave, a G ‘n’ T. They also work well as a great way to freshen up the stale air in your home. This is a simple, cheap and environmentally way to freshen up your home without the toxic, choking effect you get from most shop bought … air fresheners. 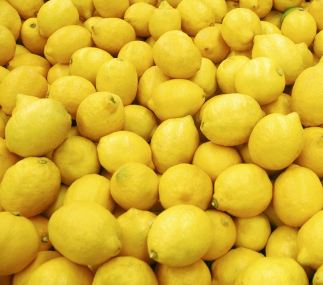 Simply slice up a few lemons. Place them in a pot and cover with cold water. Put them on a low heat, let them simmer and the beautiful citrus scent will work its way around your home. You can do this with most citrus fruits to the same effect. Try oranges or grapefruits for a bit of variety.